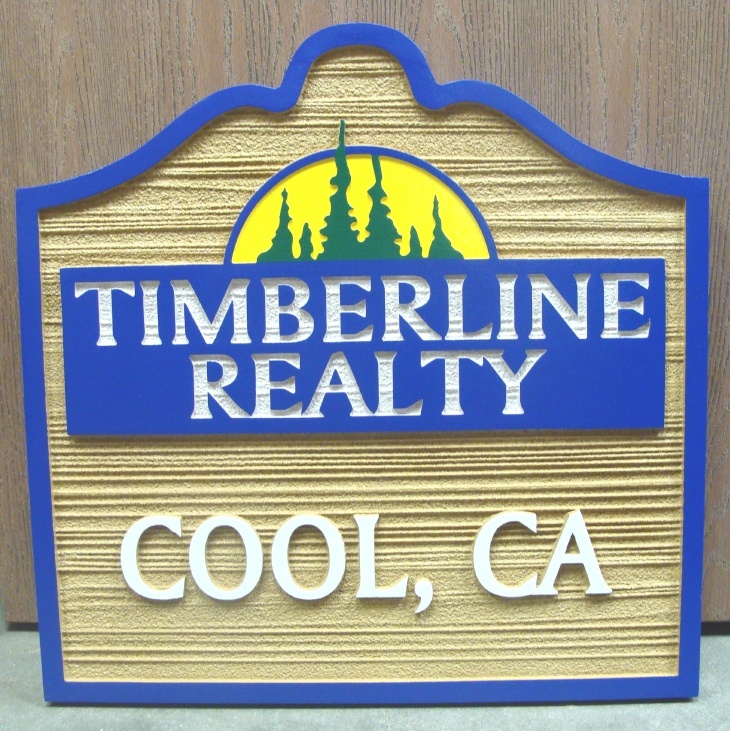 This attractive and stylized HDU Timberline Realty business sign has elevated text, border and art, and the background has been sandblasted in a wood grain pattern. The text "Timberline Realty" is engraved in a raised platform. After hand-painting, this outdoor sign is clear-coated twice as extra protection against UV radiation and rain and snow.The sign can be mounted on a wall, on a post or between two posts, or hung from a wood or iron hanger from the eye-hooks on the top.